Unique history in the making in Mt. 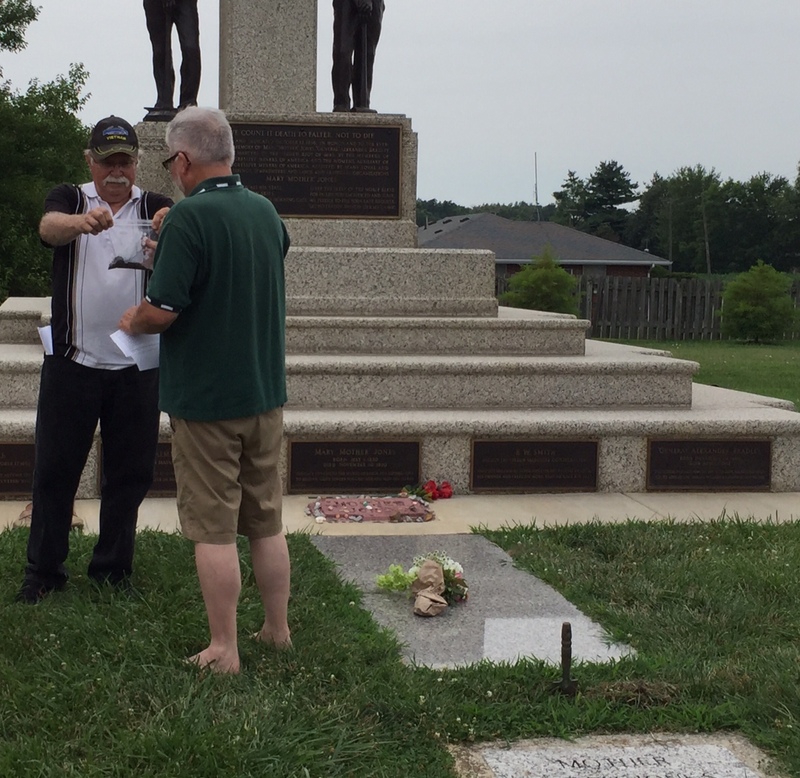 Olive Illinois,at the Union Miners’ Cemetery involving the legendary labour agitator, Mother Harris Jones (Mother Jones), Friends of Mother Jones and Ireland. 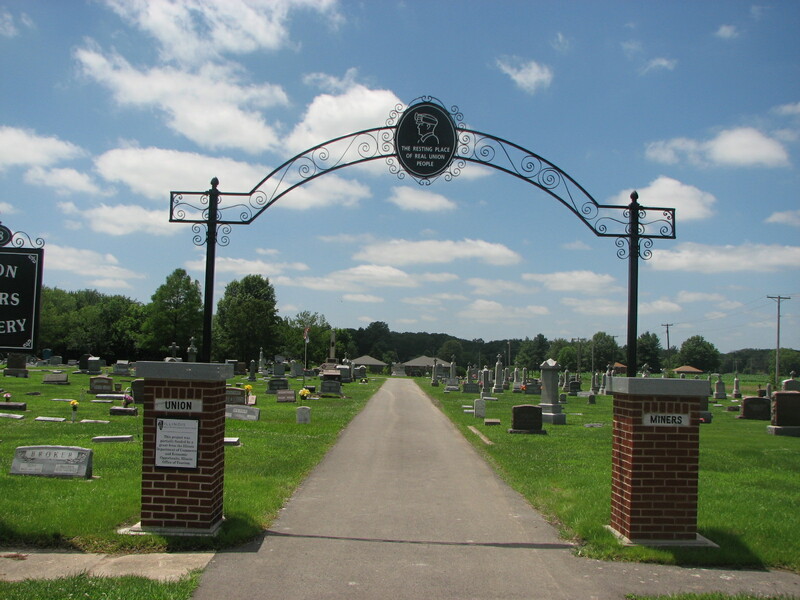 Mother Jones is buried in the only union owned cemetery in the country, she is the only immigrant who has a so-named festival in her homeland who became a giant in our labour movement, and soon she will be the first to have bit of clay from above her grave transported to her birthplace, the Shandon district in Cork City, Ireland. 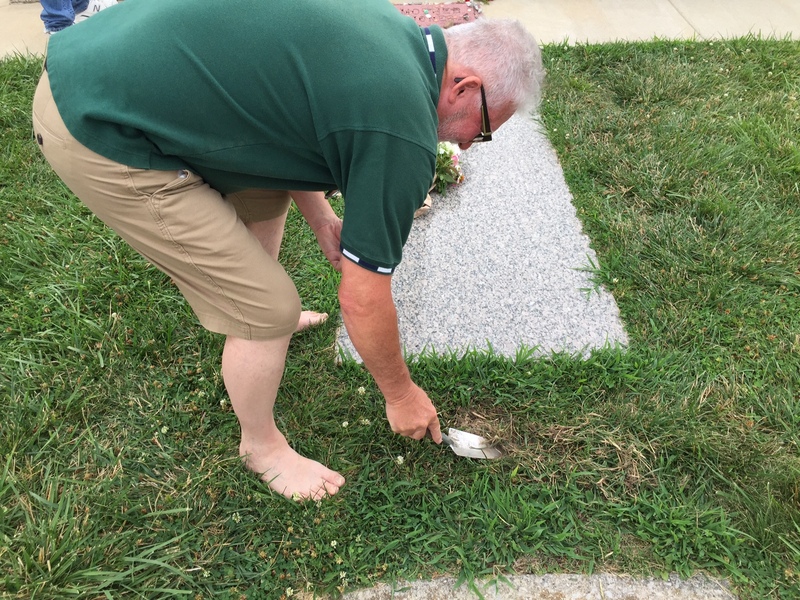 On June 11, Illinois labor activist James Goltz, along with the Perpetual Care Committee of the cemetery held a formal ceremony at her grave site where a bit of clay was removed above her grave. It was given to James Goltz to transport and formally present to the Spirit of Mother Jones Festival organisers in the Shandon Historic Quarter as part of their festival. In addition at the festival, Goltz will also read and present 3 proclamations heralding Mother Jones and the festival from the AFL-CO, the Illinois AFL-CIO and the United Mine Workers of America.